For some new players who just hit level 60 as a Paladin, here are some tips about gear and tanking. Let's see together in this article. 1). Complete your level 60 dungeons for a nice first time Lore Bonus. Use that to buy as many Lore (Lore is 230) items as you can. Buy a crafted piece or two (i250 HQ) if you can afford it. Go into Weeping City of Mhach when you meet the minimum ilevel and farm your i230 pieces. Once you are more or less kitted at around i230-ish items, you're in a decent shape to do pretty much everything available other than savage. 2). If you have been using PotD to level, you can exchange for a PotD weapon (i235) which can eventually be upgraded to i255. Otherwise, you can do go through the whole cycle of Alexander Normal (advertise on PF that you are a first timer and have second chance and you will probably get people willing to help you), and then stop at Midas Turn 4 to farm 4 gears, which can be exchanged for an i230 weapon. 3). When you are comfortable with that, you can start trading out Halone for Royal Authority (when you have aggro lead). When you are comfortable improvising and switching up your combos as necessary then learn to stance dance. Switch to sword when it is safe to do so to (for dungeons start at switching around 50% into a boss fight), then start figuring out every opportunity to switch to sword and when you need to switch back to shield (to eat tankbusters or to maintain aggro lead). 4). Rotate your cooldowns. Don't save everything till you are dying before using them. When you pull, always try to have something mitigating (Rampart, Foresight, Sentinel, Bulwark, Hallowed). Hallowed is just a cooldown, so if you don't need it in the next 7 minutes, use it in your mitigating rotation (during a big pull or certain hard hitting mobs). Use Shelltron liberally, it's a free block every 30 seconds. Hope you can get useful information of these tips. Are you ready to take part in Starlight Celebration? The celebration will start from Thursday, this week at 12 am to Saturday, December 31st at 6:59 am, PST. 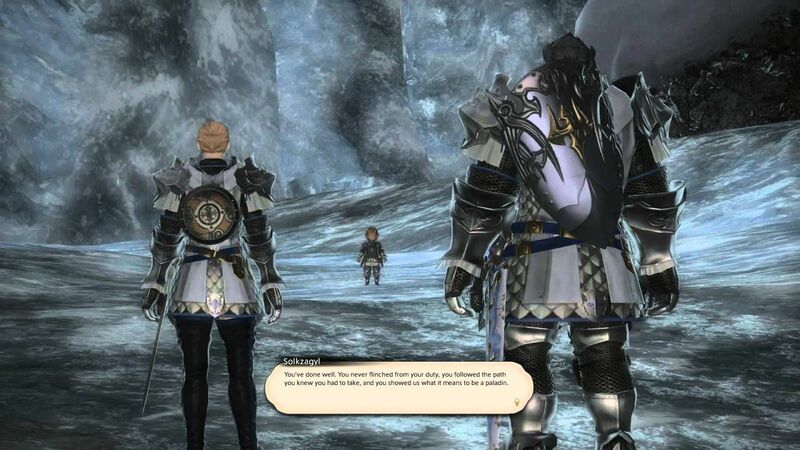 The Starlight Celebration is a special holiday event where you'll be tasked with bringing gifts and general cheer to the little boys and girls of Eorzea. There's a unique Santa Clause inspired Starlight Robe and other unique items for those who brave the snow for a noble cause. So be ready to join and enjoy the celebration. Check the news on the official site. And also be careful about our website news, that we are gonna have promotions, which means FFXIV gil is cheaper. Trust us, we are the best place to buy ffxiv gil.